As your presidential duties will soon expire, I want you make sure your Nobel Peace Prize is deserved: Please instruct your officials to return to the path of negotiations with Russia, be it the Syrian crisis, the lapse of the plutonium nuclear arms control deal or Ukraine. 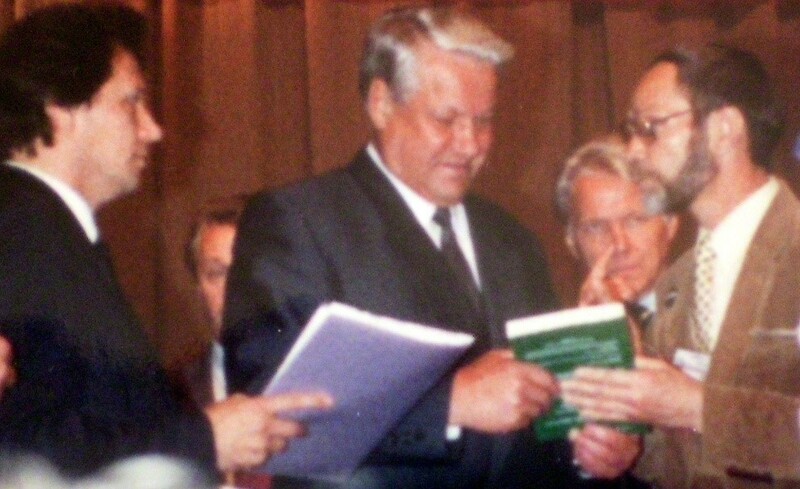 Vladislav Krasnov graduated from Moscow State University with a degree in history and anthropology. He has a Master’s degree in Slavic languages and a Ph.D. in Russian literature from the University of Washington. He taught at numerous institutions, including the University of Texas (Austin), Monterey Institute of International Studies, the Hoover Institution (Standard University), etc. He was formerly a visiting scholar at Sapporo University, Japan. I was very pleased when my dear friend Vladislav gave me permission to publish his nice letter to President Barack Obama. Vladislav is a Solzhenitsyn scholar and he and I have worked together on a number of projects last summer. Vladislav’s honest letter deserves a fair hearing precisely because New World Order agents have already been beating the war drum against Russia. They are ready to summon just about every single stupid statement you can possibly imagine just to incite people and produce categorical lies about Russia and Vladimir Putin. That is not good for NWO agents at all. They have to attack by producing lies and fabrications. In fact, lies and fabrications are two of their biggest weapons, and since they have controlled over the majority of the news outlets in America, they have effectively been able to turn people into zombies. NWO agents obviously want to create a divide-and-conquer strategy so that they can destroy solidarity among decent countries that seek to fight against the New World Order’s diabolical plan. That is why they are trying to get decent Muslims to see Russia and Vladimir Putin as their enemies. In short, NWO agents want perpetual wars. We are seeking the opposite. We are seeking peace, and that is why the following letter is timely. By so doing, you will bequeath to your successor—whomever it might be—a solid foundation on which to build a healthier and more peaceful Planet Earth. The United States should re-commit to the policy of non-interference in domestic affairs abroad that our Founding Fathers consistently proclaimed and adhered to. Instead of imposing our cherished values of “free-market” and “democracy” abroad, let us rely on the wisdom of a man who risked the reputation of a “traitor” when he defied King George’s war on American colonies. I am talking about Edmund Burke, the British philosopher and father of modern conservatism. Like ancient Greeks he argued that each country is entitled to its own form of government, be it democracy, republic, monarchy, tyranny or despotism, each of which tend to evolve into its opposite. Therefore, the colonies do not have to bow to the King. Burke’s monument now graces Washington DC. In respect to Russia, remember that Empress Catherine the Great refused King George’s request to send Russian Cossacks help him quell George Washington’s rebellion. During the Civil War, while Europe’s powers– Great Britain, France, and Spain—tried to take advantage of President Lincoln’s problems with the South, Tsar Alexander II who had just abolished serfdom in Russia, sent Russian Navy to the harbors of New York and San Francisco as a gesture of Good Will. More recently, in spite of the USSR’s unconcealed hostility to “Capitalist” America, the two countries were able to co-operate in the defeat of Nazi Germany and Japan, and then keep the bitterness of Cold War in check. After 1991, the Communist Russia is no more. The New Russia has been espousing the same values of private property, free enterprise, multi-party free elections, secular government, and freedom of speech and religion—as we do. To be sure, the post-1991 Russian road has been rocky, but this because we meddled on the side of the Russian oligarchs and because it takes years and decades to cultivate free enterprise and democracy in a country that had none for 73 years. In late 1980s, when I was writing Russia Beyond Communism: A Chronicle of National Rebirth (Westview Press, 1991), Soviet soldiers were forbidden to wear crucifix. Now General Sergei Shoigu, Russia’s Minister of Defense, would not enter the Red Square without crossing himself publicly. 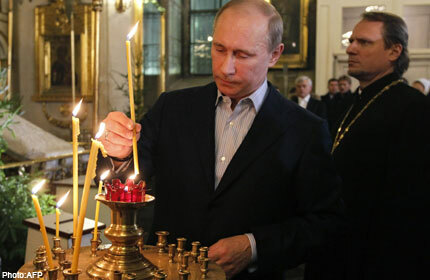 President Vladimir Putin is regularly seen in a church in front of an icon and has addressed Russian Muslims in a mosque and Jews in a synagogue. It’s a truly tectonic shift in global affairs since the end of the Cold War in 1991. Therefore, I say, Mr. President, take a breath of fresh air and do what it takes to make your Nobel Peace Prize count: Leave the legacy of peace-seeking negotiations with Russia from which your successor will not deviate lest he or she be called an abominable war monger. More than any other two countries, Russia and the United States are called upon safeguard Peace, Freedom and Commerce not just from San Francisco to Vladivostok, but on the entire Planet Earth. So help us God! Denis Solokov, “Putin’s Savage War Against ‘New Muslims,’” Newsweek, August 10, 2016. Dennis Ross, “Why Middle Eastern Leaders Are Talking to Putin, Not Obama,” Politico, May 8, 2016.